SPEAK OUT! Itty-Bitty Giant Steps will provide a venue for brain-injury survivors and caregivers to shout out their accomplishments of the week. If you have an Itty-Bitty Giant Step and you would like to share it, just send an email to me at donnaodonnellfigurski@gmail.com. 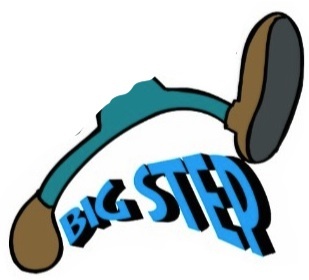 I hope we have millions of Itty-Bitty Giant Steps. Heather Sivori Floyd (caregiver for her son, TJ) … TJ was finally able to get out of the bath on his own! We will always celebrate the little, yet big, milestones because they matter. It matters simply because these moments are the reasons to keep going when it’s very hard. (Keep it up, buddy! You’ll hit those goals because you are determined.) So very proud of him and his never-ending drive to keep going. Please leave a comment by clicking the blue words “Leave a Comment” below this post. BRAVO! Every tiny step forward counts HUGE!!! Thanks, Jennifer Stokley. I certainly agree with you and it’s important for others to share in the celebration and be encouraged by the accomplishments of others.